The journey we have been on in the last three weeks seems somewhat distant. With the grappling with doubt and then hope I felt the week of the surgery, that grappling only continued the following week. We met with Huntsman Cancer about 2 weeks ago and they told us Julie's tumor was a rare lymphoma called Plasmablastic lymphoma. It is a very aggressive cancer so they prepared us for a heavy dose of 4 rounds of chemotherapy. This lymphoma is primarily found in immune suppressed HIV patients, but on rare occasions it has been found in Post transplant patients. Julie was #38 since 1997 and #5 who has a lung transplant. Our oncologist was very forthright that even with the data on HIV patients, there was no empirical evidence on how to best treat this cancer. To her credit, she sits on a national board that writes the protocol on how to treat different types of Lymphomas. We were in good hands. It was still very rare. That said, the fellow shared with us a story of how a patient with this disorder was clear one week and full of tumors just a week later. We were going off of case (individual) studies. That was Tuesday. We spent that day grappling with the new lifestyle we would have to undergo. Julie would be admitted for 2-4 weeks with a break of a few days in between and as with most chemo, just when she would start to feel normal again they would hit her with another round. Julie was going to have to move in with her parents so we could protect her in these highly vulnerable times. The oncologists biggest concern with starting chemo was Julies risk for infection. 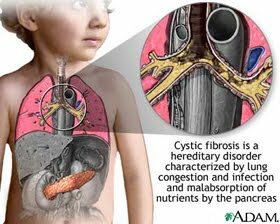 She already had an underlying infection in her sinuses from her CF that had moved into her lungs and it could become systematic. They were going to start that Friday but decided to push it off till the following Tuesday, Feb. 10. It took a bit, but we came to terms with this reality, and started to plan out how we were going to carry this out at home while she underwent treatment. On the way home we had a lot of discussion about how much suffering is going on around us all the time and how we are simply oblivious to it. We find ourselves pushing through our normal routine to provide for our children and serving others at arms length. Julie also said this experience has helped her remember how important it is to stay on our knees, even when times are good. We have had an immense amount of gratitude for the last four years. Though there have been continual bumps in the road, and suffering at times, it really has been pretty normal. We have spent a lot of time together both here and out of town. We have really lived to try and care for Julie, and look ahead expecting the best outcomes. For me, this meeting at Huntsman was the first time in our marriage I began to slip from that long term viewpoint. We spent the prior weekend feeling peace that all will be okay, and each set of information that came in was not what we hoped for. Discouraging isn't the best word to describe it since that implies some level of naivety of the realities of what we were facing. It was more a feeling of, "ok, so now what do we do?" That night I spoke with the twins at length about what was going on. They are 6 so they have a thicker candy shell than older kids and adults do. I don't know they can fully process what is happening, but we don't want to make the mistake of dumbing it down to protect them. Julie mentioned die and one of them asked "die?" We were pretty upfront about the possibility but reassured them that we had hope and faith that wouldn't be the case right now. We talked a lot about their uncle James, as we have their whole lives. They took it for what was worth and just listened. Ironically, when we visited her in the ER, Jack asked on the way in "what if it was just us boys?" They know what is going on, and have always known. We have really focussed on sharing with them the times Julie has felt James very close to her. Like when they were born, when Charles was born, before the transplant, and again last month with this latest debacle. Ben and Jack have an affinity for their uncle. They have always listened intently when we talk about him. I spent about 45 minutes at their bedside talking about life here on earth and also after death. I told them that no matter what, we will always be with them. Though the belief that we will be with our families after this life epitomizes the word faith, one can't discredit this belief based on our dire situation. When your back is against the wall, and you have no where to go, just hoping something is true for your benefit, does not and will not carry you. You begin to feel it and it becomes ingrained in your soul by small hints and impressions that are so gently given to you. We drew the conclusion that although James is not here physically, he has never left us. He has done little things to let Julie know he is there. These little things have been shared with the boys their whole lives. James really forged the way for Julie when they were kids. As a child, she was terrified of the hospital. Only 17 months apart, these two were like cystic twins. He filled the role of what a big brother would be in every essence of the word. He always suffered more, having been born with a congenital heart defect on top of his CF. When they were adolescents, they would stay in the hospital together, though James would also have to fare it alone. Nurses would reminisce about the two of them just laughing in their room together. Julie has tried to emulate his courage and positive attitude ever since he passed away in January of 2007, just 3 weeks before our wedding. She took the torch and has charged ahead. The next morning we were up early to have the PET scan. I spent those early hours catching up on homework before the work day started. We received a call from the fellow later that afternoon. To his surprise, there was no sign of cancer on the scan. He still wanted to start chemo treatment the following Tuesday just to be sure it would not come back. The few cases that were available showed fairly good outcomes, with this regimen. However as I was sinking myself on pubmed, the outlook was grim for those HIV patients. I had read one meta-analysis that showed mean survival for no treatment was 3 months and treatment resulted in 15 months. That few days, I struggled with thoughts of 'this was it' and then 'this isn't how its supposed to play out.' Through that afternoon, Julie was really wrestling with this course. She said, "If I go into chemo on a clear scan and get infected and possibly die, I am going to be pissed!" We decided to call the doctor back. This was a heavy decision, with no clear path ahead. If we don't do treatment we run the risk of the cancer coming back with a vengeance and knocking her down making it harder to survive the chemo later; If we do the chemo, we run the risk of her underlying infection becoming systemic and causing harm or death. We tried first to get hold of the attending oncologist Martha Glenn, who met with us the day before; she was on vacation till the next Wed. We then tried to call Julie's transplant pulmonologist Barb Cahill to no avail. The fellow who we spoke with had told us the day before that even with a clear scan, he wanted to move forward with chemo since he had seen its aggressive nature once before. Julie sort of 'knew' how he would react to her questioning. We ended up talking to him. She said, "I just want to make sure we are making the right decision here. With my CF, diabetes, lung transplant all being considered, is this the best course of action? I don't want you to think I don't want to do this because I don't want to lose my hair or miss my Hawaii trip. I just want to make sure its the best thing for my survival. I have this sinus and lung infection that has not seemed to go away and I just don't want that, with the chemo to be the thing that takes me down. I have a family, you know." We were surprised at his candor. "Honestly, I have grappled with the same thing" he said. We were so grateful he was honest. He admitted it made him nervous, but acknowledged that the patient he saw do so poorly without treatment, was not immune suppressed, or a transplant patient. But that didn't make the decision any easier, in fact it made it a little tougher. That night we had a close friend over who had undergone chemotherapy and was faced with a similar tough decision. Operate and remove lymph nodes then undergo therapy or just undergo therapy. He gave us some sound advise. Make a decision, then take it to the Lord. Move forward with a course and if we need to change course later, then so be it. His wife reminded us of all the miracles and odds Julie has surpassed in the past. It was one of those tender mercies of the Lord to have them there that night. It helped clarify what we were to do. The next morning, Julie connected with her pulmonologist. She tended to agree, that without cancer on the scan, she leaned toward not taking the risk of chemo, though she admitted her expertise was not in oncology but in CF and lung transplants. This was the second witness for Julie, the first being our conversation with the fellow the day before, and the reminder of Julie's purpose to be here by our close friends. For me, I was still haunted by the poor outcomes of the studies I had been looking at. This whole time, we were praying for a miracle. With other situations like this in our past, the miracle was in front of us and obvious. This time, it was a little more obscure. We had to wrestle with it and really just move forward as our friend advised. We attended the LDS Temple that Thursday to confirm our decision to not undergo therapy. Again, Julie felt James very close. She felt inspired by his courage to move forward with her intuition and not undergo therapy. Unless it was found in a future scan, we decided to monitor her immune suppressants more frequently, and hopefully curb the possibility of it coming back since volatile immune suppression is believed to be the main culprit. This is a difficult task since her levels tend to change not only when she gets a sniffle, but also from her underlying CF disease. Once she got EBV last summer in part from this cause stated above, she began to feel some intestinal pain about a month or two later. She along with the transplant team thought it was related to motility and her CF so it was treated with more laxatives. We all know how that played out. Hindsight is always 20/20. The following Tuesday we went to Huntsman and told them our decision. They were very supportive and put in motion the plan to monitor Julie. We will have a PET scan next month and spread them out over time. All in all, the doctor told us to "just pay attention to your body. If you notice something abnormal please just give us a call." They are still nervous, and we like that. We are glad they are vigilant at keeping her well from this perspective. Over the past few weeks, I have heard about numerous people who have fasted and prayed for Julie. I am now convinced that this power once again has brought us a miracle, though this one is more of a process. This process of struggle and dependence on prayer has drawn us closer to the Lord, and deepened our relationship with Him. He isn't always going to just take the pain away, but He will always be there. The doctor told us there was a chance the cancer was removed and now gone. 70% of the tumor was from the immune suppression being too high, leading to EBV (Epstein Barr virus similar to mono), and 30% of the tumor was mutated and if any cancer is in the blood, this could proliferate and spread despite our preventative course of managing her immune suppressants tighter. That said, the peace we felt throughout this process has been undeniable. If nothing more, your fasting, prayers, thoughts, mojo, meditation, and whatever else you want to call it, has carried us through this dark period. I really only broke down once, and I am a baby. It was the morning after the scan, before we had the results. I had a dream that I was looking at our family photos, when suddenly Julie and I were in those photos. I just looked at her and she was crying about leaving her boys. I started to bawl in my dream, and woke up doing just that. I left the room and fell to my knees pleading with the Lord to guide us and give us strength to bare this burden. After the decision, life has quickly turned back to normal. Once the decision was made, we felt peace. We have some urgency about spending time together and frankly, provident living, though important to us, can sometimes be overdone. Live with your families. Be with them, travel with them. You may have a normal life, but it can and may be turned upside down in a moment. I am not advocating irresponsible spending, but saving money at the expense of experience with your kids, is overrated. So is any other activity that takes you away from those you love in an unhealthy way. We really only have these monsters at our home for another 15 years or so. Having such a poor flu vaccine this year resulted in more people getting sick. More people being sick meant our kids were sick more often, and ultimately this was the worst winter for Julie post transplant. Julie really is one of those special cases they talk about on the news who suffer when people decide not to get vaccinated. I understand people have their opinions not to vaccinate, but for us, we rely on it. Julie is vaccinated, and so are the kids and I, but it's not the ineffective flu vaccine alone that puts her and other immune suppressed people at risk; its the fact that more and more people believe it gets them sick for a short time and decide to not get vaccinated. So what; is it really going to kill you? If you know someone who is undergoing chemo, or is immune suppressed for any other reason, you should get vaccinated to protect them. A simple virus for the healthy, can lead to a systemic infection for those in these situations. A friend of mine was admitted in heart failure when they were in between chemo treatments and it was from such an infection. All I can ask out there, is just think a little more selflessly about it. I used to not get the vaccine for one reason or another, usually just because I didn't get around to it. Living this life with Julie makes me want to do everything that I can to protect her. I believe in a God who can perform miracles, and I have seen countless miracles. Some are massive, and most are subtle. However, I also believe that God expects us to use the knowledge he has given to us to allow those miracles to happen. There is a reason you cannot work in Healthcare without being vaccinated. Lastly, if you are sick, or if your kids are sick, just tell us. We aren't offended if we can't come along to an activity. And under no condition, please do not come over if you are in these situations. Apply this any time you are with someone who is immune suppressed. You may just be prolonging their life. Such a difficult journey you and your wife had to go! My heart goes out to you and all others out there that are going through the same thing or something similiar to it.